Bollywood's most illustrious Khan couple, Saif Ali Khan and Kareena Kapoor, have been blessed with a baby boy early this morning. 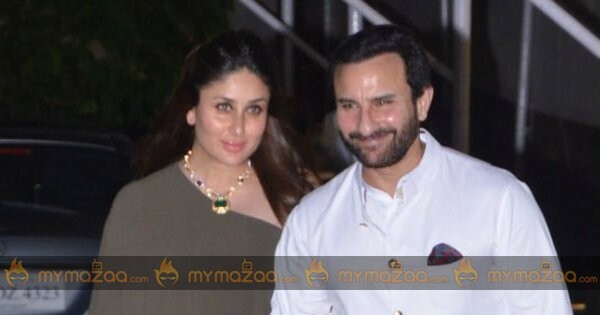 Both the mother and the child are doing well, according to Kareena's father and yesteryear hero Ranadhir Kapoor who informed the media about Kareena's delivery.Kareena and Saif fell in love during the making of Tashan. After dating each other for a couple of years, the star couple got married on October 16, 2012. This is Kareena's first child and the couple named their son Taimur Ali Khan Pataudi.This is Saif's third child. He has a daughter named Sara Ali Khan (23) and son Ibrahim Ali Khan (15) from his first marriage with actress Amrita Singh. The couple split in 2004, after 13 years of marriage.